Most Valuable Nickels: A List Of Silver Nickels, Buffalo Nickels & Old Nickels Worth Holding Onto! Your chances of finding valuable nickels in everyday pocket change are pretty good — much like your odds of finding valuable pennies. 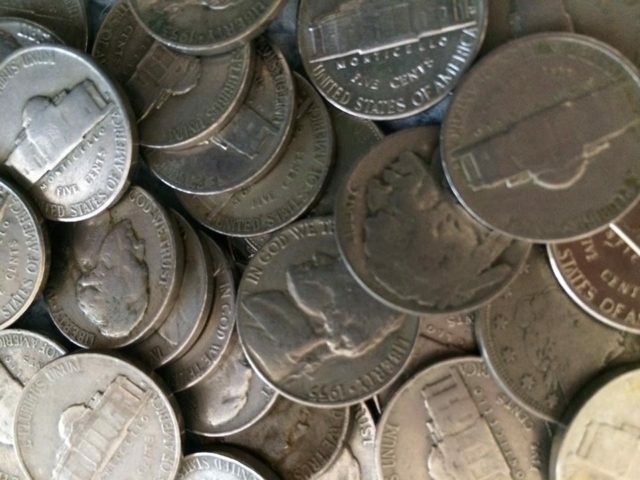 So, what are your old nickels worth? Old nickel prices range from a few cents above face value to $50 or more. Here’s a list of the nickels you should be looking for. Valuable Old Nickels Are Easy To Find! Of all the denominations in circulation, nickels provide you with the best chances of finding old and valuable coins in your pocket change. The Jefferson nickel has been in circulation since 1938, and it remained mostly unchanged until 2004. That’s when the Westward Journey nickels honoring the bicentennial of the Lewis and Clark expedition were released, bringing new obverse and reverse designs to the 5-cent coin. 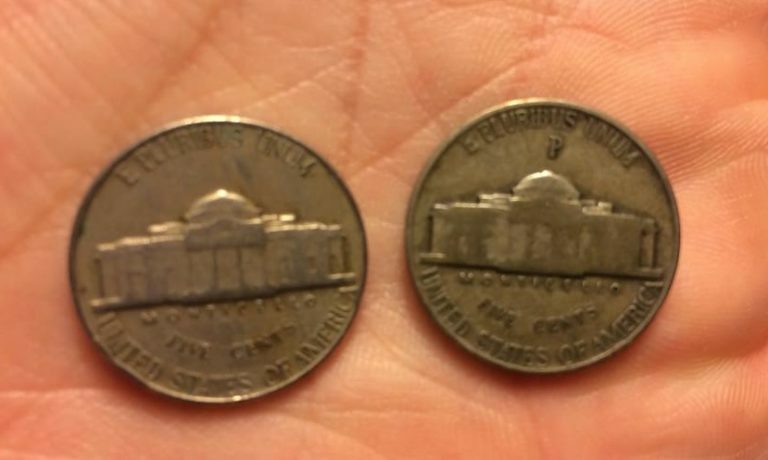 Unlike Lincoln wheat pennies — which almost everyone knows about and saves from circulation — there are many old Jefferson nickels made in the 1930s, 1940s, and 1950s that are still in circulation simply because they look much like the newer Jefferson nickels. Even silver wartime Jefferson “nickels” look nearly identical to regular nickels, except for one distinguishing mark that I’ll tell you about in just a bit. There’s a technique I normally use when I’m looking for old nickels, and it’s called coin roll searching. Basically, instead of relying only on spare change to look for old coins, I’ll go to the local bank or nearby grocery store and ask for rolls of coins. This puts me at an advantage, because I’ll get to look through a larger quantity of coins from a certain denomination than I might normally get to see at any one time. If I get lucky and find any coins that I wish to keep, I can just swap those out with common pieces, and trade the roll back in for more coins. It’s really simple to tell a silver wartime nickel from a regular nickel. 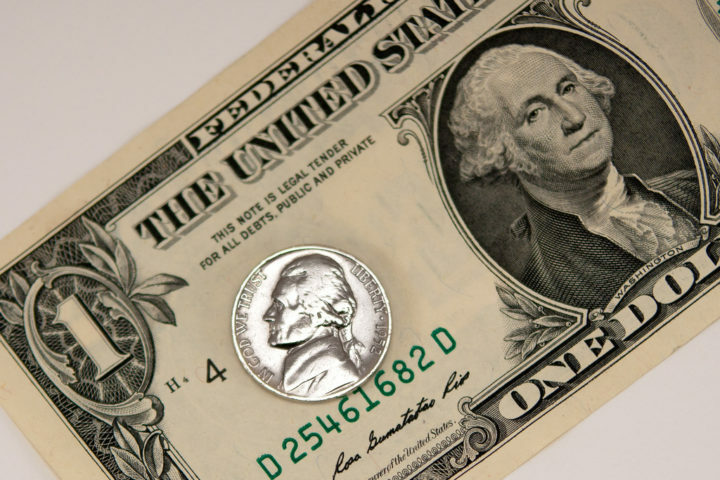 Silver nickels were made from 1942 through 1945 and have a large mintmark over the dome of Monticello on the reverse. For the record, the 1942 wartime nickel was the first U.S. coin on which a “P” mintmark was ever placed. Not all 1942 nickels have the large mintmarks over Monticello. In fact, for most of 1942, the 5-cent coin was made from nickel. In October, this changed, since nickel was needed to make artillery for troops in World War II. How much are silver wartime nickels worth? I’ve got the answer to that below! So, I know this is the part you’ve probably been waiting for — what are your old nickels worth? Below is a list of the specific nickels you should be looking for. All are worth 10 cents or more each. Some have a value of $1 or more, and a few are even worth more than $10. These old coins are out there in circulation, and I know this because I’ve found many of them myself in pocket change and in rolls of coins that I’ve looked through over the years. All the Jefferson nickel values listed below are for coins in average circulated condition. Higher-grade pieces are worth more, and cleaned and damaged nickels are worth less. In addition to the old nickels listed above, here are the 25 most valuable nickels worth $50 apiece… or more! Next up: Most Valuable Dimes – A List Of Silver Dimes & Other Dimes You Should Hold Onto!